On the highway, try not to exceed a speed of 55 miles per hour. Not only are you less likely to get into an accident, but the faster you drive, the more fuel your vehicle consumes per mile. That means more money and more greenhouse gases. I'm guessing the newsletter's writers and/or editors do not live in Southern California. If they always tried to drive 55 mph on the 405 freeway, they'd likely be tail-gated or inadvertently rear-ended. No one drives 55 here without creating a safety hazard. Sometimes I drive 75 while in the far-right lane just to keep up with the flow of traffic and not become a safety hazard. I know that driving at a slower speed uses less gas. My car's miles per gallon increases if I stick to 70 mph rather than moving into left lanes and driving 75 or 80. Back to my larger question: How often do environmental or conservation tips come across as warm and fuzzy pipe dreams? How many tips have you encountered that you consider unrealistic? One in six Americans is a bird lover, and yet the political clout that would be marshaled by other constituencies of that size has not had as big an influence, the heads of the nation's biggest birding groups told reporters as they discussed the 2007 WatchList of imperiled U.S. birds. "There are more birders than Baptists. There are more birders than there are members in the AARP," said George Fenwick, president of the American Bird Conservancy. The Audubon Society, particularly, is active politically. And there are signs that there is bipartisan federal support for bird conservation, despite the constituency being relatively unorganized. That has resulted in federal bird conservation programs remaining stable during the Bush Administration, when several other environmental programs saw dramatic cuts. "... federal bird conservation programs remaining stable during the Bush Administration" -- That clause intrigues me. This also intrigues me: "the political clout that would be marshaled by other constituencies of that size has not had as big an influence..." Why hasn't the birding community created a stronger, cohesive political presence? What has prevented us from doing that -- ourselves? Send submissions for the 63rd version of the biweekly birding carnival to The Ridger. Please share your observations, tales and photos with other enthusiasts. Don't delay! Over the Thanksgiving holiday, I spent time at my brother and sister-in-law's home in Bend, Ore. The whole famn damily -- even my sister who lives in Berlin, Germany -- convened on the house. I hadn't met one fellow, Steve. He kinda kept to himself and didn't say much that first day. I did notice him often looking through the dining room's glass sliding doors. Intrigued, I followed his gaze. Steve had his eye on the homemade feeder filled with seed. I joined Steve in the dining room, keeping an eye on the feeder. We saw lots of Mountain Chickadees and House Finches. A few Stellar's Jays stopped by. A Blue Jay raised quite a ruckus from a branch over the feeder. A couple Northern Flickers stopped by the feeding area. I saw one Mourning Dove and one American Robin. Steve kinda warmed up to me as we gazed out the sliding door together. His enthusiasm for the birds was contagious. 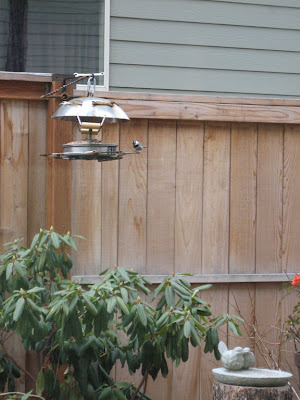 Other family members glanced at the feeder regularly and asked me the birds' names. Those relatives didn't have the same level of interest as Steve, though. He's got a good birding future ahead of 'im. Both Steve and Pancetta, the other feline resident, are indoor-only cats. Cats Indoors! It's an apple snail. For a Snail Kite, that looks absolutely delicious. 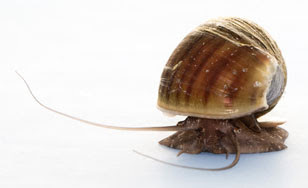 Problem is, the ongoing drought in south Florida has decreased the number of apple snails. That makes it difficult for endangered Snail Kites to find enough of their primary food source. Scientists funded by the South Florida Water Management District are studying the feasibility of captive-breeding apple snails at Harbor Branch Oceanographic Institute in Fort Pierce. So far, the results are promising. Depending on water levels, scientists hope to be able to release some of the captive-raised snails this spring into Lake Okeechobee, Lake Istokpoga or Everglades wetlands. The snails typically lay their eggs on vegetation above the water line, but snail hatchlings must drop into the water to survive. The freshwater marshes at the lake's edge are now too dry for the hatchlings, and Lake Okeechobee's water level remains more than 5 feet below normal for this time of year. With brown shells serving as perfectly crafted camouflage, apple snails are hard to spot in the dark, marshy habitat where they spend most of their lives below the waterline. Despite the challenge, snail kites are experts at swooping low over the water to pluck the snails out of the dark waters. These crow-sized birds of prey have a hooked bill designed to pull the snails from their shells. A snail kite eats an average of 2.5 apple snails an hour when feeding, according to a study by the U.S. Fish and Wildlife Service. Those funds were applied to Steel Valley's "Math and Science: It's for the Birds"; South Allegheny's "Birds Count"; and the Finley Middle School Composting Project in Ringgold School District. To Steel Valley Middle School, $1,350 was given for 170 sixth-graders to study the local bird population, taking pictures, doing research on various species and studying their biology. In math classes, students will learn about various styles of birdhouses and calculate their surface areas, volumes and openings. They then will build birdhouses specific to certain species and study the birds that use them. The houses will be placed in the memorial garden, the educational pond area and the outdoor classroom. Dominion gave $1,054.65 to "Birds Count," in which 585 students at South Allegheny Elementary will participate in birding activities. After bird behavior and identification lessons are taught in the classroom, students will participate in monthly birding events, collecting and submitting data to the online PA Bird Atlas, E-Bird and Urban [Bird] Studies. Students will share their observations via a school bulletin board and school television network. Teachers Audrey Aubrecht, Patricia Kostik and Karen Kadar applied for the grant. Do you consider yourself a bird educator? 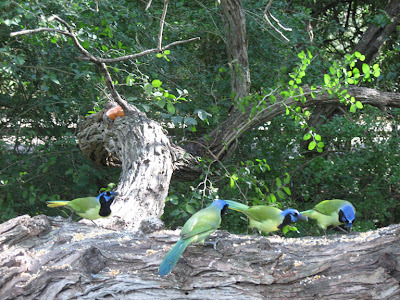 Did you attend the Bird Conservation through Education gathering in Austin, Texas, last February? Would you like to trade ideas and develop strategies with other bird educators? Subscribe to the BirdEd listserv by sending an e-mail to birdedlist-subscribe AT flyingwild DOT org. In the e-mail, state your name, organization, title, mailing address, phone and fax numbers and website. It's never too early to think about visiting McAllen, Texas, for a four-day conference about bird habitat and conservation in the Western Hemisphere. Between Feb. 13-16, the 4th International Partners in Flight Conference will focus on “Tundra to Tropics: Connecting Birds, Habitats and People,” and the schedule includes single- and multi-day field trips, social events and keynote speakers. 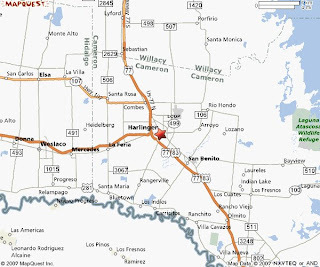 If you missed the Rio Grande Valley Birding Festival in Harlingen earlier this month, then you can visit the festival's field-trip destinations. Every year, the city of Harrisburg, Pa., disperses American Crows as much as possible to discourage the birds from roosting in and around the capitol complex. The 10-year-old program operates every night from 5 to 7 p.m. for a few weeks and aims to make sidewalks safer for pedestrians. The department consulted with the U.S. Department of Agriculture to develop the anti-roosting measure. It is not harmful to the crows, people, environment or other animals. The program works as a preventative maintenance measure and involves the discharge of caps or blanks by Capitol Police officers. It helps maintain safety on sidewalks by reducing the amount of crow excrement that can be hazardous to pedestrians, especially in rainy weather. Do you know of other cities with anti-roosting programs? Earlier this week, the San Francisco Chronicle reported delightful news: Populations along the Pacific Flyway appear healthy. You don't have to be an avid birder to be thrilled by the winter aggregations of geese, ducks and shorebirds in the Sacramento Valley - or along Tomales or Richardson bays, or the alkali lakes of northeastern California. You simply have to be human, and demonstrate moderate sensitivity to the extreme beauty and power that nature can manifest. In a world of swelling human population, metastasizing conurbations and plummeting wildlife populations, the continental flyways - and the Pacific Flyway in particular - stand as singular exceptions to the general trend. In almost every other wildlife-related sphere, things are, frankly, going to hell in a concrete handbasket. In the 1980s, about 3 million ducks and geese plied the Pacific Flyway. Today, the number is between 5 and 6 million. Twenty years ago, Pacific white-fronted geese were down to 100,000; now, they're up to 600,000. The same is true of Aleutian geese, which have jumped in numbers from 700 to 100,000. All the major species of ducks save for three - greater and lesser scaup, and northern pintails - have expanded their populations significantly. Lots of information in the article. Go read it! The comments section included one that was against hunting and one that pointed out hunters' role as conservationists. Guess which one had the most recommendations. You might be surprised by the margin of difference, given the paper's location. GALVESTON — Bad blood over the shooting of a feral cat has resulted in an alleged death threat against the birdwatcher who admitted pulling the trigger. A judge declared a mistrial last week in the case of Jim Stevenson, the founder of the Galveston Ornithological Society. Prosecutors said they wouldn't retry Stevenson on charge of animal cruelty for the November 2006 cat shooting. "The e-mail said that Jim might very well end up in the sights of a. 22-caliber rifle but that, if he donated $10,000 from his bird fund into a fund for feral-cat rescue, he might avoid his fate," Nelson said. 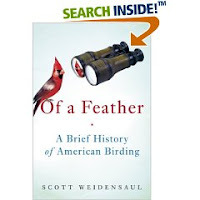 Review of bird book prompts discussion of "listers"
In "Of a Feather" Weidensaul writes, "I've harbored a growing unease and frustration at the disconnect between the burgeoning enthusiasm for birding and a pervasive apathy about the birds themselves, as organisms in their own right, whose protection and preservation should be among our highest priorities." Weidensaul makes a strong case for conservation, flummoxed by the birders who don't see the connection between their avian beloved and the birds' need for a healthy habitat to survive. The ultimate example is the goal-oriented birder with a life list -- a master checklist of every bird he or she has ever seen -- who will spare no expense to see a rare bird, yet hardly take the time to appreciate it once found. The obsession takes over, with its origins in love and wonder lost along the way. They forget to look at the trees, the sky, the mess of shrubbery where they seek out their prey. They ignore the beauty of their specimen, alive and active in its natural environment, once the check mark is made. The topics of the obsessed lister sparked a fair amount of comments (the thread is closed now). How often do you encounter such stereotypical listers? Are they rare or common? Click that CNN link for details. For more info about bowerbirds, click on this PBS Nature link. For a fantastic four-minute video of David Attenborough watching a male work on his bower, click on this link. Peregrine Falcons available for falconers? The U.S. Fish & Wildlife Service recently posted a draft of a plan that would allow falconers to capture migrant first-year "northern" Peregrine Falcons (Falco peregrinus tundrius) from the wild. The service seeks public comment on the draft until Feb. 11, 2008. 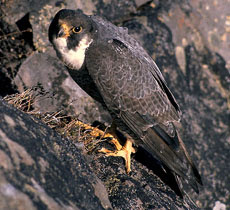 "A few decades ago, the peregrine falcon in North America was on the verge of extinction due largely to the effects of DDT, which affected both the American and Arctic peregrine falcon subspecies. We recognize that falconers have long sought protection of wild raptor populations and played a significant role in the species' comeback. They were among the first to report the decline in peregrine populations and, in fact, contributed peregrines held for falconry to captive propagation efforts. Now that peregrine populations are healthy, the Service is considering once again allowing the traditional capture of migrant peregrine falcons for use in falconry." You can read the draft here. A group of net-wielding bird rescuers in white Tyvek coveralls converged on the scoters from two sides. As the lead netter yelled, "Go, go, go, go, go!" they charged. The ducks, unaware that they were being rescued, fled for the water. Three got away; three were netted and transferred to towel-lined cardboard pet carriers. Then someone asked if we could take the scoters to the International Bird Rescue Research Center in Cordelia in Solano County for cleaning. Sure! Click the link above for the fate of a Western Grebe. Should National Audubon deal with nonbird topics? Earlier this month, the man who broadened the National Audubon Society's scope beyond birds died. Peter A.A. Berle, 69, died from injuries caused by the collapse of a barn roof. Berle (pronounced Burley) served as president of Audubon from 1985 to 1995 and led the move to deal with nonavian topics. Financial challenges had prompted a re-evaluation of the organization and its goals. Convinced that Audubon should expand its base beyond bird watchers, he launched a reorganization that was at times painful, particularly when he attempted to remove the great egret as Audubon's symbol and replace it with a flag. The hue and cry from the rank and file subsided only when Berle acknowledged he had made a mistake, but he did not retreat from his larger objective: to help Audubon grow in its role as an advocate for the environment, as concerned with the habitat of humans as of birds. "He had an early vision . . . for the sustainability and livability of cities," said Glenn Olson, executive director of Audubon California, who knew Berle for 20 years. "Most of the areas Audubon was trying to protect were outside of cities. Peter brought it back into cities." Do you think the organization should have expanded its scope or retained a focus on birds? Is Audubon the best advocate for birds, or has another group assumed that role? Death Valley to install largest solar energy system in U.S.
Next March, visitors to Death Valley National Park will experience the benefits of the largest solar photovoltaic system in the country. Xanterra Parks & Resorts plans to install a one-megawatt system to generate more than one-third of the annual electricity needs for Furnace Creek Inn, Furnace Creek Ranch, and employee offices and housing. What are the chances that more national parks -- and wildlife refuges -- will go solar? Curious about the birdlife in Death Valley? Click here for the species checklist. GALVESTON, Texas (AP) — The trial of a prominent birdwatcher accused of animal cruelty for shooting a cat ended in a mistrial Friday after jurors couldn't reach a verdict. Jim Stevenson, the founder of the Galveston Ornithological Society, has admitted he shot the cat last fall because he saw it hunting a threatened species of bird near the San Luis Bridge Pass. If convicted, he would have faced up to two years in prison and a $10,000 fine. The trial sparked an Internet debate between cat lovers who decry Stevenson's actions and birders upset by the toll feral cats take on bird species. It's also raised questions about what makes an animal a pet, especially if it lives outside. Jurors deliberated for more than eight hours before the judge declared the mistrial. Three Canadian high-school students finished the ecology unit of their science class by creating a music video set to an original song, "Boreal Beat." The Eco Gangstas' amusing video begins with some textual facts and birdsong and then goes into imaginative rhyming lyrics. Click on that link for a fun break that celebrates the importance of the boreal forest to North America's breeding birds. 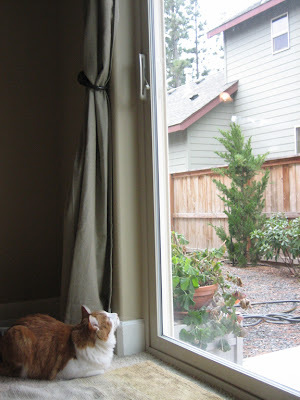 Prompted by the trial of Jim Stevenson, John at Born Again Bird Watcher posted a thought-provoking entry about humans' perspective on and treatment of cats. GALVESTON — The trial of an island bird lover could end today with closing arguments this morning in his animal-cruelty case. Jim Stevenson, 54, faces the charge for shooting a cat in November 2006 near the western tip of the island. Stevenson is president of the Galveston Ornithological Society. At issue in the case is whether the cat was a pet, belonging to a San Luis Pass toll-bridge worker. The worker had claimed he had been feeding and caring for the cat and that he had considered the animal his. However, defense attorney Tad A. Nelson has said the animal was feral and had no owner. If jurors find the cat was feral, or wild, then it had no owner and that law did not apply to Stevenson’s actions. However, if they find the cat was the bridge worker’s pet, the charge could carry a jail term of 180 days to two years, as well as a fine of up to $10,000. Want to own a life-size Emperor Penguin sculpture? If you win the fund-raising auction that runs through Dec. 23, you could live with Wilson, a kinetic sculptor created by Chris Cole of Bend, Ore. Proceeds from the auction go to penguin and seabird research, conducted by Oceanites Inc. , a nonprofit science and education foundation. Wilson stands 4 feet tall, weighs 110 pounds and possesses motorized wings. 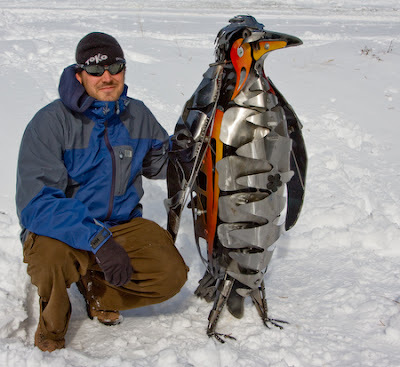 He's named for Edward A. Wilson, one of the first scientists to observe and study Emperor Penguins in their native habitat. Anyone know of a birder, young or old, who'd like to give Wilson a home? On a personal note, I don't think this trial would've come to fruition if more humans took more responsibility for cats' safety and kept them indoors. The most frustrating moment for Bree Hardcastle came when she spotted the red-tailed hawk. Part of a breeding pair that lives on Angel Island, the raptor was feeding on an oiled bird when Hardcastle and her small team of avian rescuers came upon the predator during daily surveillance searching for oiled wildlife on the hard-hit state park. "The mouth and face of the red-tailed hawk was completely covered in oil," recalled the state parks environmental scientist, who works for Marin's six state parks, including Angel Island. From picturesque Ayala Cove - which less than a week ago was washed with foamy oil that resembled chocolate mousse - to the famed parade ground on the island's south side, beaches, coves and crevasses of San Francisco Bay's largest island are getting a thorough cleansing. In the past week, the island has been ringed with bunker fuel oil from the container ship Cosco Busan, which crashed last Wednesday into the Bay Bridge. The pilot of the freighter that struck the Bay Bridge last week, fouling the bay with 58,000 gallons of fuel, told federal investigators that the accident occurred after the ship's radar failed and the captain of the vessel made a monumental error, a lawyer for the pilot said Tuesday. Meanwhile, Gov. Arnold Schwarzenegger postponed the start of the bay's normally vibrant fishing season, while cleanup crews made significant headway on the worst-hit beaches, and politicians and environmentalists braced for a flurry of state and federal hearings into the spill. The most startling of the day's revelations came from attorney John Meadows, who represents John Cota, the pilot of the Cosco Busan last Wednesday. Cota said the Chinese captain of the ship guided the freighter toward a bridge tower in the fog, the attorney said. Today's Birding 101 workshop/field trip had a stellar teaching team. The 35+ birders on the bus benefitted from the expertise of authors and tour leaders Brad McKinney, Jon Dunn and Kim Eckert. Wow. The bus left Harlingen's municipal auditorium at the leisurely hour of 8 a.m. After a productive stop with views of Wood Stork, Black Vulture, White-tailed Hawk and Northern Harrier followed by a great stop with Belted Kingfisher, Tricolored Heron and Pied-billed Grebe, the bus reached Laguna Atascosa National Wildlife Refuge. 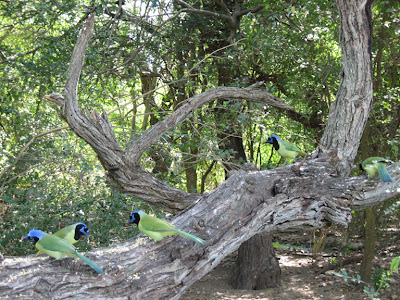 I felt quite content to watch the Green Jays at the visitor center's feeding stations. After a day's delay, I finally arrived in Harlingen, Texas, this afternoon. It feels good to be back. This year marks my third (or fourth?) year at Rio Grande Valley Birding Festival. It's one of the highlights of the WildBird travel schedule. 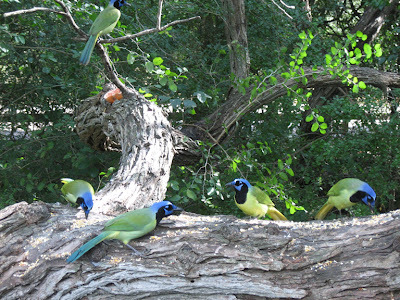 Down here, you get to see so many crazycool birds, like Green Jays, that don't live or visit elsewhere in the U.S.
Plus, you get to eat really tasty, authentic, inexpensive Mexican food. I can't wait to visit Alicia's on North Commerce Street again. Birdchick said we'd eat dinner there on Saturday. Mmmmm. 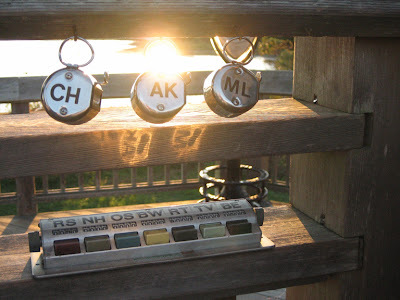 Do you know all the species that appear on these clickers at the Cape May hawkwatch platform? Can you surmise which species's clicker is missing from the hook on the far right? 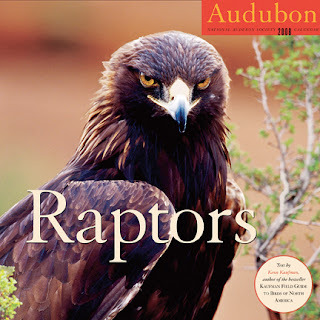 The first person with all the correct species will receive a Raptors 2008 calendar from National Audubon Society. 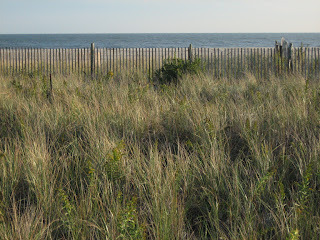 This fall's head hawkwatch counter in Cape May is Jessie Barry, who reviews books for WildBird's Book Nook department. Congrats, Jessie! Mother Nature delivered a delightful piece of soul food this morning. On the drive to the office, I saw two White-tailed Kites hover-hunting at the same time. One bird hovered about 6 feet above the other. Their tandem wingbeats mesmerized me. I'm facing a 14-hour day at the office while on deadline for the January/February 2008 issue. Plugging away at the computers will keep me indoors until the building's alarm activates tonight. In the meantime, the image of those synchronized hunters will provide some refreshment. Happy Tuesday! This bump on the flat Texas coast where thousands of people from around the world are lured each year to one of the nation's premier birdwatching meccas took a direct hit from the tiny but intense Hurricane Humberto. 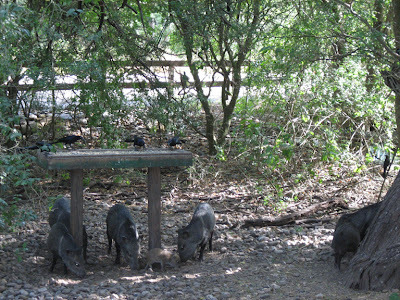 But it doesn't seem to have bothered the migratory birds that use it as a rest stop. "Mother Nature's been doing this for eons," says Winnie Burkett, manager of the Houston Audubon Society's four bird sanctuaries at High Island, trying to shrug off the frustration of extensive damage wrought by the hurricane. "I don't think the birds care the way we care. It changes the habitat that's available, but as long as there's habitat available, that's what matters," she said. On last night's episode of "Grey's Anatomy," birds appeared in a plotline. I didn't catch the entire episode but came into it when Izzie convinced a reluctant cardiac patient to go through with an unusual procedure -- open-heart surgery while awake but numb via an epidural. She did it by blurting "Ivory-billed Woodpecker." Mr. Arnold, the patient, wanted to see the bird in Arkansas and agreed to the surgery. Izzie even put a picture of the bird on an IV pole next to Mr. Arnold's head. When he panicked at being the object of attention during the surgery, Izzie encouraged Mr. Arnold to think of the people in the observation platform as birds and to describe them. He characterized one woman as an ibis, Dr. Yang as a Purple Sandpiper, Dr. Shepherd (aka McDreamy) as a Black-headed Nightingale-Thrush, and Dr. Webber as a Great Blue Heron that watches over and sees all... and the patient's anxiety decreased enough for the surgery to continue. What I'd enjoy learning: Which writer introduced that storyline? Is that writer a birder? How'd that storyline come into play? How were those species chosen to represent the doctors? Very cool that birds and birding enjoyed some prime-time minutes on a high-ranking show. 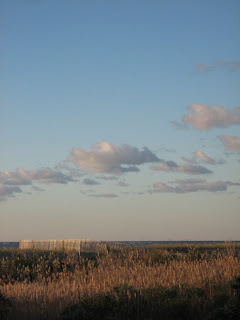 The first birding bloggers' conference, suggested by John and organized by Sharon, enticed a fair number of bloggers to join the fall festivities in Cape May. We posted entries before, during and after the event. If you've thought of attending a birding festival but haven't yet, or if you missed out on this year's Autumn Weekend because of other obligations, then you can enjoy a taste here from the smorgasbord of online coverage. Perhaps the Autumn Weekend organizers consider the quality of this coverage an appropriate return on investment for the blogger registration discount and they'll offer a discount for future events. We'll see! 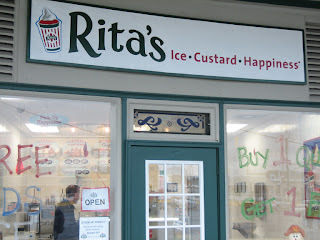 Completely off-topic: Did anyone else visit Rita's, across the street from the convention hall? It's not a West Coast option, so when Sheri of Birders on the Border showed me her custard cone, I had to investigate the new shop. (I think it replaced an Atlantic Book Shops.) Oh, the choices! Upon my return to the convention hall, my hand held a cup of Death by Chocolate Blenderini -- chocolate ice, chocolate custard and Oreo crumbles. Happiness, indeed! Hold onto your wallet, 'cause N8 has just the thing for you: a fabulous product called I and the Bird! Don't miss out on the limited-time offer! And maybe you can win big next time by sending a blog post to the next carnival host, Greg, by Tuesday, Nov. 13.